The cat after it was rescued from a mound of earth on Saturday. 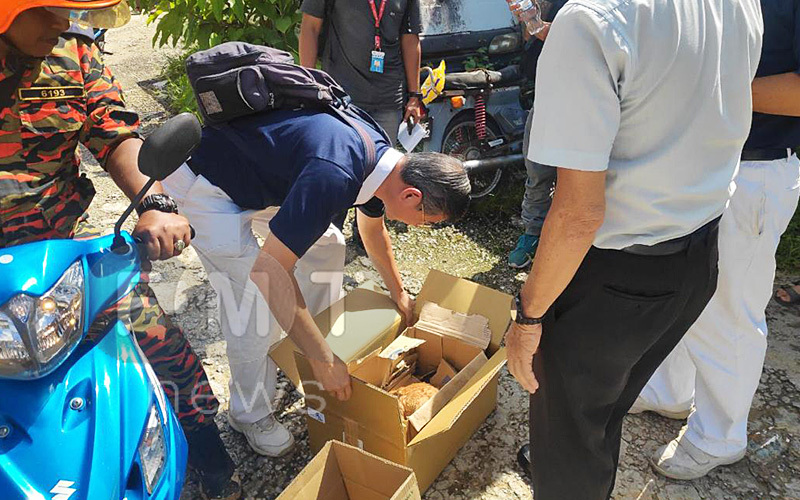 GEORGE TOWN: A cat which was found alive after being buried for more than 24 hours in the landslide in Bukit Kukus here on Saturday died this morning after suffering from internal complications. 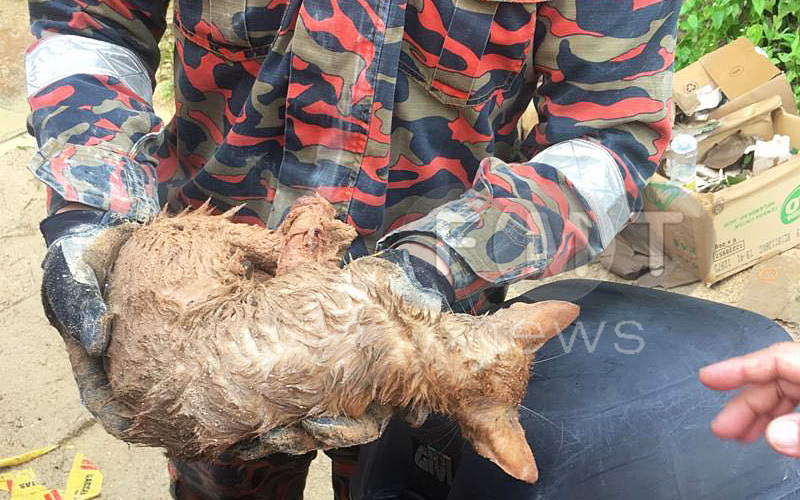 Firemen had pulled the cat out from the mounds of earth and rocks from Friday’s landslide and its miraculous survival had brought some cheer to the rescuers and animal lovers. The cat was placed in a box before it was brought to a vet. “We were prepared to spend whatever money to nurse it back to health. We also wanted to put it in a cat’s home for rehabilitation,” the society’s Penang commissioner Khoo Boo Leong said. Initially, it was thought that the cat would survive. He said the vet had wanted to amputate the cat’s hind legs this morning. 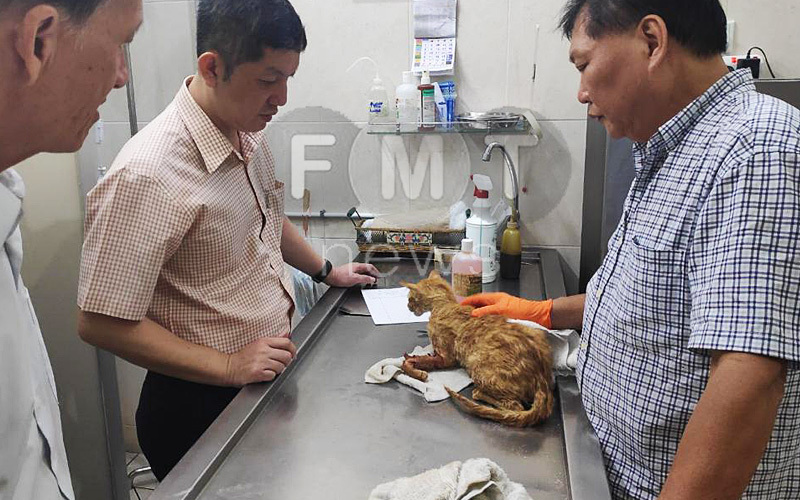 Khoo said the vet’s initial findings showed that the cat died due to a crushed stomach. Earlier, the fire and rescue department also found the remains of two other cats at the site. The Tzu Chi society, besides providing aid to the cat, has also helped provide some 150 firemen with hot meals and water over the past three days. It also set up two large tents, complete with chairs and tables, for members of the media. The Tzu Chi members also provide breakfast, lunch and snacks at the site. Buddhist Tzu Chi Merits Society Penang commissioner Khoo Boo Leong. Khoo said the society wanted to do its bit to help search and rescue personnel and also members of the media reporting on the landslide. 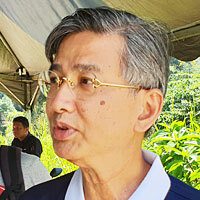 Khoo said the society would continue to offer food until the search and recovery process is over. Thirteen victims were buried in the Bukit Kukus landslide. Eight bodies have been recovered from the site so far.